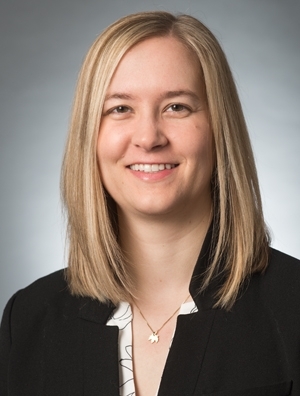 Elizabeth Wamboldt is a member of the firm's Intellectual Property Practice Group, focusing her practice in the areas of information technology transactions, licensing and cloud agreements, data privacy and security, the Internet of Things, e-commerce, IP counseling and consumer privacy issues. Her clients operate in diverse industries, including the consumer products, services, communications, healthcare, manufacturing and technology sectors. As an experienced transactional attorney in both the commercial and technology space, Elizabeth assists clients with software licensing, SaaS, PaaS, IaaS, IT professional services agreements, outsourcing agreements, technology development agreements, supply chain agreements, commercial hardware and services agreements, non-disclosure agreements and a range of other contracts and agreements. In addition, Elizabeth also advises clients on state, federal and international data privacy and security issues, including those relating to e-commerce, consumer protection, Internet of Things, internet terms and privacy policies, data breach response, and GDPR compliance. Elizabeth's prior work experience included a three month IT contracting secondment within a client's legal department and commercial contracting for a large Fortune 500 health care company. In her spare time, Elizabeth enjoys volunteering at Heartland Farm Sanctuary in Madison, Wisconsin. Managed services agreements, nondisclosure agreements and supply chain agreements.